A TIGER handler at Australia Zoo says he is "all good" after today's attack which landed him in hospital. Terri Irwin tweeted a video of 35-year-old Che who seemed in good spirits. "Renu was a bit frustrated with the heat. He wanted to go one way and I wanted to go the other," he said. "He let off a bit of steam and I got a few claw marks. These things happen working with tigers." Che has been released from hospital. 3:30 PM AUSTRALIA Zoo has revealed the tiger whose claws punctured a keeper's head and arm this morning took a swipe at his handler while taking a routine walk. Spokeswoman Kelsey Engle told a press conference at the zoo that the male Sumatran tiger, 12-year-old Ranu, had been doing a routine "enrichment" activity when he was distracted by his surroundings. "While walking through surrounding bushland at the Zoo, Ranu - Australia Zoo's 12 year old male Sumatran tiger - became overly interested in his surroundings and when his handler approached him to change direction, he swatted his paw resulting in a scratch on his left wrist, bicep and right side of the forehead," a statement issued by the zoo this afternoon said. "Both Ranu and the handler are well. The tiger handler was taken to hospital via ambulance where his scratches have been deemed minor. He's expected to be discharged from hospital this afternoon and will return to work in the coming days. "Our much loved Ranu will continue his normal enrichment routines at Australia Zoo." AN ambulance officer has revealed the tiger handler who was attacked at Australia Zoo today had suffered "deep puncture wounds" to his head and arm, in addition to "scratches" earlier reported. "We attended a wildlife park today. We were called to a male patient with two deep puncture wounds," the Queensland Ambulance Service spokesman said. When ambulance officers arrived on the scene they found a 35-year old male conscious. He was transported to Nambour Hospital in a stable condition. "He had deep scratches from the tiger to his forearm and head and minor scratches to his body." A KEEPER has been attacked by a big cat at Australia Zoo on the Sunshine Coast. 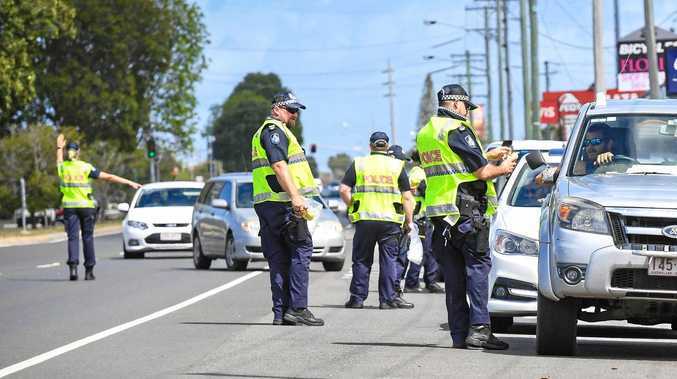 Queensland Ambulance Service has confirmed it took the man aged in his 40s to Nambour Hospital. He suffered scratches and puncture wounds in the attack. Terri Irwin described the tiger on Twitter as being "hot and bothered" when it scratched the keeper, and that both the staff member and the tiger are OK. It's not the first time a big cat has attacked a handler at the zoo. In November 2013 Australia Zoo tiger handler Dave Styles, 33, was seriously injured when a tiger that had been in his care since it was a cub became overexcited. It is not known whether the tiger, Charlie, is the same animal that attacked a handler today. Ten tigers are currently at the zoo, according to Australia Zoo's website.